March 20th. Spring has “officially” arrived. Of course, due to our latitude our spring equilux day was last week. More than 12 hours of daylight now baths our gardens, orchards and vineyards. Which of course in part explains why our almond trees decided to celebrate the arrival of Spring a little earlier than the official date, and started to flower on the 18th. 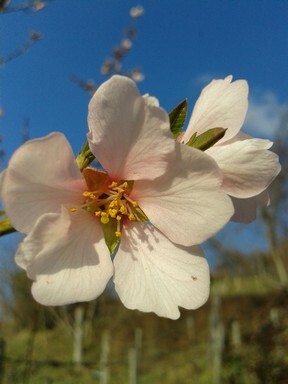 Almond flower ready and waiting for the bees. The Lilac bushes are also starting to show their colors (just barely). 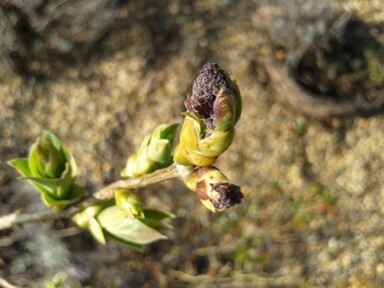 Lilac buds just starting to show. Next will come the apples, pears and cherries. 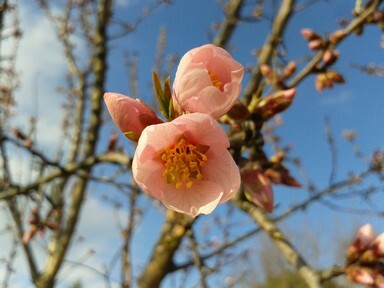 The cherry blossoming is of course the most anticipated event of the spring in many cultures. When it happens here, will post if able.